The Master Flow 10 in. x 6 in. 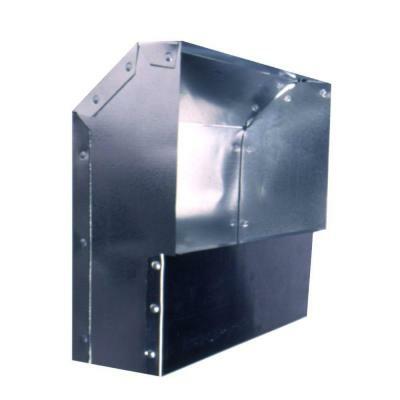 Rectangular Stack Head helps transition from a rectangular stack duct to a sidewall air register or grill. Designed for durability this stack head is made of zinc-coated, 30-gauge galvanized steel. This stack head features a minimum temperature rating of -100 degrees Fahrenheit and a maximum temperature rating of 390 degrees Fahrenheit.